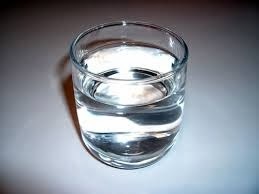 This is not a recipe for a glass of water. No recipe this time. I don't have anything original or picture worthy at the moment! ...But I have thoughts! Throughout the Bible, we are told to read the Word. So, in our own modernized fashion, we do. In Western Christian culture, reading the Bible tends to take on a few popular forms. There are, for one, devotionals: bite or snack sized portions of Scripture packed in with reflections, questions, and other modern comforts. Bible study groups, also popular, frequently involve communally reading a book that mentions, discusses, analyses, or studies Scripture. Sunday morning "readings" are carefully selected (hopefully) to fit into the larger message, the sermon. Children's ministries even include the Bible: pick an out-of-context memory verse or an out of context Bible "hero". I shouldn't get too down on these things. They aren't wrong. It is not wrong, by any means, to incorporate Scripture into our fellowship, our teachings, our personal relationship with the Lord, or into Children's ever-absorbing minds. But reading the Bible is just that -reading the Bible- and it seems to me that many of us don't do it often. Reading the Word is like drinking water. We need the Bible to hydrate us and nourish us. When we don't feel thirsty, we still must take care to drink enough water. When we feel thirsty and crave flavor, we must take care to also consume water. As water nourishes our inner most parts, it enables us to live, to be healed, and to function. Nothing is pure, refreshing, and satisfying the way water is. That is how Scripture is to our souls and consequently, to our lives. Reading the Word, combined with any addition, is like drinking water mixed or diluted with something else. There are some wonderful nutrients found in drinks like juice, which contains water. Further, there are some drinks containing water, like soda, that really aren't very nourishing. Ultimately, whether we drink other things or not, we need water. Just water. The Spirit is living water, a river built within us, and the Scripture teaches us about this. Christ's teaching is living water, a spring we can drink of and finally be satisfied by. Scripture is remarkable -which makes sense, being God-breathed and all. His Word is simple enough for children and for any person who hears it. Yet His Words are also full of a mysterious power, of life, of the ability to provide nourishment of all forms to us throughout our lives. It has remained true, relevant, and authoritative for generations. The Lord's Word is good and it is necessary. Drink the Word. Not just when you're thirsty, and not just mixed in with other things for more flavor or appeal. Drink the Word alone, and drink it socially. But drink it because the Lord provided it to sustain us for His glory.